An invitation to the meeting was circulated among London's top neo-Nazis by London Forum organiser Jeremy Bedford-Turner. The purpose of the meeting was to discuss conspiracy theories about the death of Princess Diana. Wednesday's meeting was due to take place at the Millman Street Community Centre on Millman Street from 7:30pm till 9:30pm. Before the meeting attendees were expected to gather at the Friend at Hand pub on Herbrand Street, just off Russell Square. The meeting was part of the Keep Talking series of meetings organised by conspiracy theorist Ian Fantom. 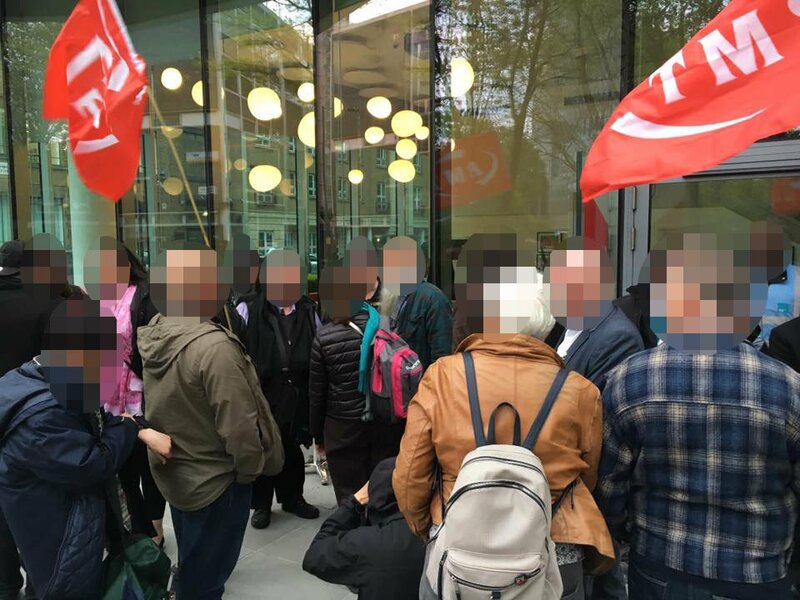 A recent Keep Talking event in Camden saw notorious Holocaust denier Nick Kollerstrom attempt to speak, before the meeting was cancelled by Camden council, after pressure from anti-fascist activists (pictured above). Kollerstrom and Bedford-Turner were both at an event to remember dead British fascist John Tyndall held in Warwick last month by neo-Nazi outfit Western Spring. Kollerstrom has organised previous Keep Talking meetings, including one which was addressed by Piers Corbyn, the brother of the Labour Party leader. Copies of Kollerstrom's Holocaust denying books have been openly on sale at these previous meetings. Another regular attendee, who has spoken at Bedford-Turner's events, is Holocaust denier James Thring who has links to former Ku Klux Klan leader David Duke. Thring is known for his links to various despotic Middle East regimes. The Keep Talking meetings were started in the United States in the aftermath of the 9/11 attacks. The conspiracy theorist group has spread the anti-Semitic lies that Jews were behind the tragedy and that Jews working in the twin towers were warned not to attend work on the day of the attacks.